Regular rate (price) for return tickets on Singapore Airlines to Hanoi is SGD 600 (including tax and service charges)- it is a sweet deal. Sometimes you can book at only SGD 400 for return tickets Singapore- Noi Bai- Singapore. Singapore – Noi Bai: flight number SQ176 will depart Singapore Changi at 9:20 A.M and arrive Noi Bai at 11:35 A.M on the same day. 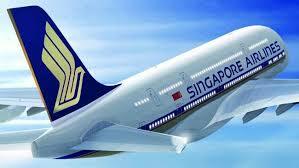 Singapore Airlines use Airbus 330 for the itinerary. On the way back to Singapore, flight number SQ175, usually departs Noi Bai at 12:40 and arrives Changi at 17:10. Pick up your Singapore group at Noi Bai airport noon flight and transfer to hotel in Hanoi. The rest of day is at leisure till having dinner at local restaurant. After dinner, enjoy the water puppet performance, a unique and famous traditional performance in Thang Long Water Puppet Centre (by the Hoan Kiem Lake). Breakfast at hotel. Enjoy a morning city tour to visit some of the city’s attractions including the fascinating Ho Chi Minh mausoleum (except for Monday & Friday & the whole Oct & Nov), Ho Chi Minh museum (except for Monday) & Ho Chi Minh House on stilt & one pillar pagoda. Visit Ngoc Son temple & Restored Sword lake in the centre of modern Hanoi. After lunch at local restaurant, visit the temple of Literature, which is regarded as the first university in Viet Nam. Proceed to Ha Long bay, one of Vietnam’s greatest natural wonders and was recognized as World’s Natural Heritage by UNESCO. This evening you will have a seafood dinner. Note: Ho Chi Minh Mausoleum is closed on Monday and Friday and the months of October and November, Military museum will be replaced in stead. After enjoying breakfast at hotel, take a cruise on the emerald green waters of Ha Long among the 3,000 spectacular limestone islands, visit grottoes and floating village. The cruise ends with a fresh seafood lunch on board. Back to Hanoi after lunch time. Driver through Hanoi old quarter, you will have time for shopping at Dong Xuan market. Have dinner at local restaurant. After dinner, proceed to Hanoi railways station for the night train to Lao Cai. Pick up at Lao Cai station, then transfer to Sapa which is only 38 km from Lao Cai.. Breakfast at Royal view hotel. After that, following the road down to the valley by steps for about 5 km. While waling to the H’mong village you will have the opportunity to see the villagers working on the paddy fields and their animals, such as: chickens, water-buffaloes and pot – bellied pigs. You can also see the old hydro-electric power station which was built by the French time in the early 20th Century, and a beautiful waterfall that is a good place for resting and taking pictures. Going up and down by steps and then we keep walking to Sin Chai village where the black H’mong people also live. On the way to the village we can meet villagers. Look at a house of H’mong people we can see their weaving and dyeing cloth and lifestyle. Lunch & dinner at local restaurant. Breakfast at hotel. Embark on a lovely trek that will take along buffalo paths and trails and through several hill tribe villages Lao Chai and Ta Van, home toBlack H’mong and Dzay people. This is an absolutely spectacular walk through stunning scenery inhabited by some of the friendliest people you can meet. Once on the valley floor you can really appreciate the wonderful scenery surrounding you. The walls of the valley are covered with multi-layered rice terraced fields. Return to Sapa. Lunch at local restaurant. Proceed to China border for taking photo. Dinner at local restaurant. Board on night train to Hanoi. 6:00 arrive Hanoi. Pick up at Hanoi train station then transfer to a 3* hotel for breakfast. Transfer to Noi Bai airport for leaving flight. End of services. Travel Sapa will arrange Sapa tours from Kuala Lumpur at the lowest rate. The deal will include airfares on request. Pick up your Malaysian group at Noi Bai airport noon flight and transfer to hotel in Hanoi. The rest of day is at leisure till having dinner at local restaurant. After dinner, enjoy the water puppet performance, a unique and famous traditional performance in Thang Long Water Puppet Centre (by the Hoan Kiem Lake). Breakfast at hotel. Enjoy a morning city tour to visit some of the city’s attractions including the fascinating Ho Chi Minh mausoleum (except for Monday & Friday & the whole Oct & Nov), Ho Chi Minh museum (except for Monday) & Ho Chi Minh House on stilt & one pillar pagoda. Visit Ngoc Son temple & Restored Sword lake in the centre of modern Hanoi. After lunch at local restaurant, visit the temple of Literature, which is regarded as the first university in Viet Nam. After dinner, proceed to Hanoi railways station for thenight train to Lao Cai. Pick up at Lao Cai station, then transfer to Sapa which is only 38 km from Lao Cai.. Breakfast at one of the hotels in the town. After that, following the road down to the valley by steps for about 5 km. While waling to the H’mong villageyou will have the opportunity to see the villagers working on the paddy fields and their animals, such as: chickens, water-buffaloes and pot – bellied pigs. You can also see the old hydro-electric power station which was built by the French time in the early 20th Century, and a beautiful waterfall that is a good place for resting and taking pictures. Going up and down by steps and then we keep walking to Sin Chai village where the black H’mong people also live. On the way to the village we can meet villagers. Look at a house of H’mong people we can see their weaving and dyeing cloth and lifestyle. Lunch & dinner at local restaurant. Breakfast at hotel. Embark on a lovely trek that will take along buffalo paths and trails and through several hill tribe villages Lao Chai and Ta Van, home to Black H’mong and Dzay people. This is an absolutely spectacular walk through stunning scenery inhabited by some of the friendliest people you can meet. Once on the valley floor you can really appreciate the wonderful scenery surrounding you. The walls of the valley are covered with multi-layered rice terraced fields. Return to Sapa. Lunch at local restaurant. Proceed to China border for taking photo. Dinner at local restaurant. Board on night train to Hanoi. 6:00 arrive Hanoi. Pick up at Hanoi train station then transfer to a 3* hotel for breakfast. Transfer to Noi Bai airport for leaving flight. End of services. First Choice wish to see your Malaysia Group again in the near future. This tour is specialized for the market of Indonesia or if you travel to Vietnam via Jakarta. It is a package tour that includes all most everything. Travel Sapa Company will greet you at Noi Bai Airport. There is no direct flights from Jakarta to Hanoi. 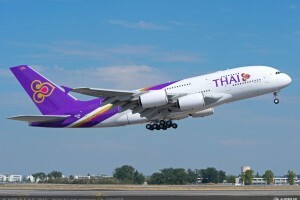 The flights will transit in Singapore, Bangkok or Ho Chi Minh City. To book flights, we suggest Vietnam Airlines, Thai Airways or Singapore Airlines (http://www.singaporeair.com). Pick up your Indonesian group at Noi Bai airport noon flight and transfer to hotel in Hanoi. The rest of day is at leisure till having dinner at local restaurant. After dinner, enjoy the water puppet performance, a unique and famous traditional performance in Thang Long Water Puppet Centre (by the Hoan Kiem Lake). After dinner, transfer to Tran Quy Cap station for overnight train to Lao Cai. Pick up at Lao Cai station, then transfer to Sapa which is only 38 km from Lao Cai.. Breakfast at Royal view/ Bamboo hotel. After that, following the road down to the valley by steps for about 5 km. While waling to the H’mong village you will have the opportunity to see the villagers working on the paddy fields and their animals, such as: chickens, water-buffaloes and pot – bellied pigs. You can also see the old hydro-electric power station which was built by the French time in the early 20th Century, and a beautiful waterfall that is a good place for resting and taking pictures. Going up and down by steps and then we keep walking to Sin Chai village where the black H’mong people also live. On the way to the village we can meet villagers. Look at a house of H’mong people we can see their weaving and dyeing cloth and lifestyle. Lunch & dinner at local restaurant. 6:00 arrive Hanoi. Pick up at Hanoi train station then transfer to a 3* hotel for breakfast. Transfer to Noi Bai airport for leaving flight to Jakarta. End of services. Sapa Travel can customize this itinerary to meet your needs from you, guys from Jakarta and Indonesia. Upgrading or downgrading the accommodation is possible at Sapa Travel. Contact us for help. From Jakarta, if you need any help or have any questions regarding Sapa andHanoi (Vietnam) Tours, contact us again. These are Sapa tours for Hong Kong people, flights with Hong Kong Airlines to Noi Bai Airport. Sapa Travel can buy you the flight tickets and send via email to you. Our guide will pick up from Noi Bai (Hanoi) to train station for Sapa train. Pick up at Lao Cai station, then transfer to Sapa which is only 38 km from Lao Cai.. Breakfast at Royal view/ Bamboo hotel. After that, following the road down to the valley by steps for about 5 km. While waling to the H’mong villageyou will have the opportunity to see the villagers working on the paddy fields and their animals, such as: chickens, water-buffaloes and pot – bellied pigs. You can also see the old hydro-electric power station which was built by the French time in the early 20th Century, and a beautiful waterfall that is a good place for resting and taking pictures. Going up and down by steps and then we keep walking to Sin Chai village where the black H’mong people also live. On the way to the village we can meet villagers. Look at a house of H’mong people we can see their weaving and dyeing cloth and lifestyle. Lunch & dinner at local restaurant (Chinese food for Hong Kong people in Sapa Panorama- Chinese hotpot). 6:00 arrive Hanoi. Pick up at Hanoi train station then transfer to a 3* hotel for breakfast. Transfer to Noi Bai airport for leaving flight to Hong Kong. End of services. Sapa Travel can customize this itinerary to meet your needs from you, guys from Hong Kong. Upgrading or downgrading the accommodation is possible at Sapa Travel. Contact us for help. It is easy to travel to Sapa Town from Bangkok, Thailand. There are at least 6 direct flights from Bangkok to Hanoi on daily basic. These flights are from the main carriers Vietnam Airlines (3 flights a day), Thai Airways (1 flight a day), VietJetAir (1 flight per day), Qatar (1 flight). Our travel company can buy air tickets for you and the guide will pick you up from Noi Bai Airport in Hanoi to Hanoi station for night train to Sapa. To reach Sapa from Vientiane, the safest and fastest way is by plane. 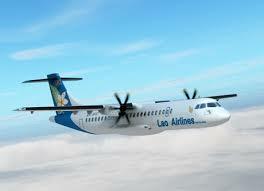 Vietnam Airlines and Laos Airlines operate daily flights between Vientiane and Hanoi. Pick up your group at Noi Bai airport noon flight and transfer to hotel in Hanoi. The rest of day is at leisure till having dinner at local restaurant. After dinner, enjoy the water puppet performance, a unique and famous traditional performance in Thang Long Water Puppet Centre (by the Hoan Kiem Lake). 6:00 arrive Hanoi. Pick up at Hanoi train station then transfer to a 3* hotel for breakfast. Transfer to Noi Bai airport for leaving flight. End of services. Travel Sapa Company wishes to serve you and your group in the near future. It is a long and tiring bus trip if you travel by road from Luang Prabang to Hanoi, then to Sapa. The best way to travel from Luang Prabang to Hanoi is by airplane. There are usually 2 flights a day. It takes just one hour. Bus Laocai – Sapa, Sapa – Laocai. Once you are satisfied with the group tour itinerary, we will secure the services and you will be required to pay a deposit of 30% of the total cost of your trip. The balance of payment can be paid either by cash when picking up in Noi Bai Airport or by credit card/ bank transfer/Western Union 30 days before Sapa Tour. Please discuss these payment options with your Sapa travel specialist, for more detailed information. We require full payment for international flight tickets (Luang Prabang- Hanoi) and the train tickets. We will send the e-tickets to your email. Contact us to book the tour “Luang Prabang- Hanoi- Sapa”. We can offer promotions in low season.